For information on any of the projects, scopes, outputs please contact us. As well as developing local and statewide expertise, many very useful resources (financial models, templates, procedures) have been developed that are licensed for re-used in other regions. Meshpoints have been engaged by Business South West to do an initial mapping of the South West innovation ecosystem, and participatory assessment of its maturity. This will grow stakeholder relationships, make support for local innovations more visible, and enable strategic investment in the region's capacity. planning and facilitation of and introductory public workshops. 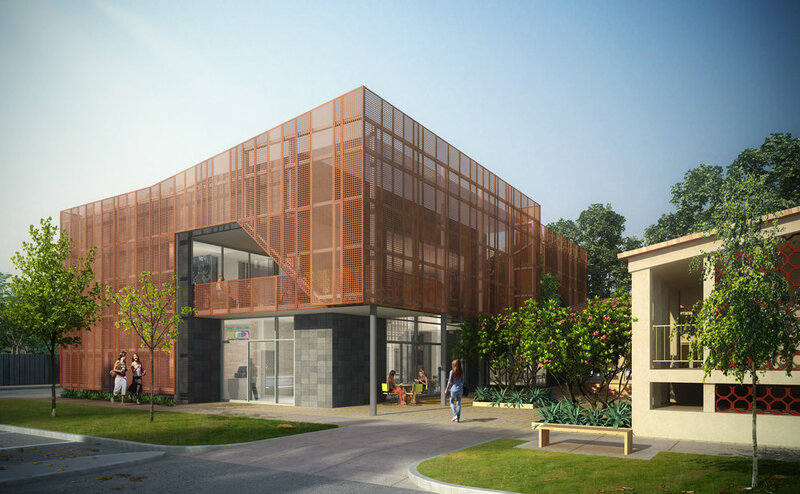 Meshpoints assisted with business model development, fit-out, pilot learning programs, digital engagement. We are mentoring local staff to lead development of the space and programs to deliver activation, social and economic outcomes. Meshpoints were engaged to deliver presentations, workshops, training and recommendations to an alliance of organisations in the Great Southern. We efficiently delivered both site-specific advice, training in facilitation and startup methodologies, and an initial roadmap for innovation across the region. Meshpoints worked with practitioners from every region to draft a prioritised strategy for growing innovation in the regions. 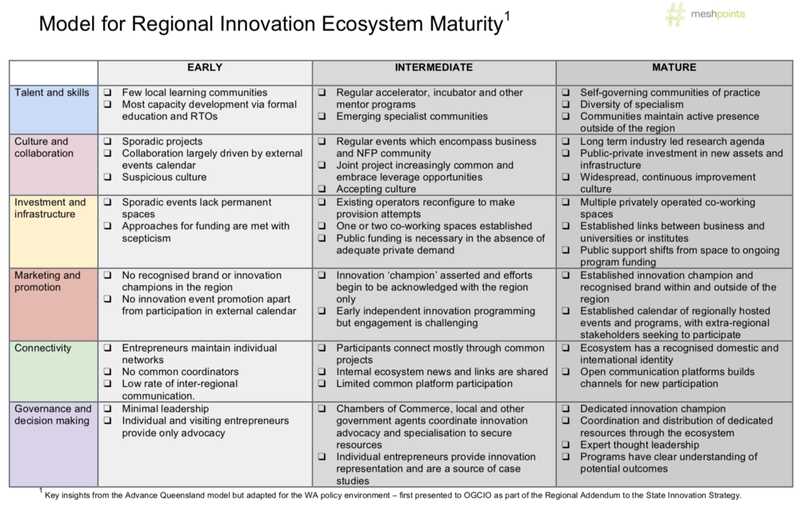 The draft strategy framework enables easy assessment of the relative the maturity of 'ecosystem' in each region. The final draft document was accepted by the state agency, with contents informing the development of the approach taken by the new State government. As part of the process we reviewed all the relevant precedent strategies from around Australia and developed recommendations relevant to every region.